I have finally received my first Bluetooth watch and it comes to me courtesy of Martian and is aptly dubbed the Notifier. The Notifier is a smart watch that that is both fashionable and functional with an analog face that includes an OLED readout that allows your phone to stay in your pocket by providing alerts to your wrist in real time. 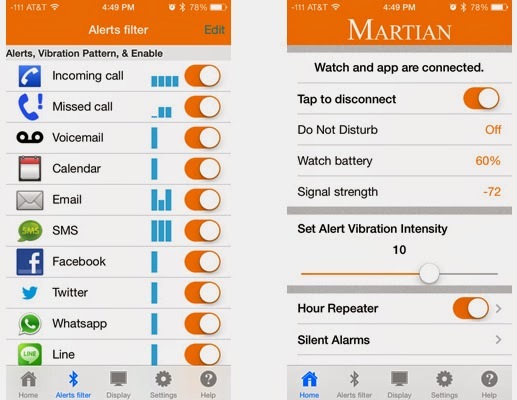 A free Martian Notifier App makes syncing with your apple or android phone fast and management of notifications easy. So now that the Notifier is set up and strapped on, let's see how it performs. I had the pleasure of seeing the Martian watches over the last two years at CES and the biggest standout feature was that it was a stylish watch whose features don't take away from the timepiece but instead compliment it well. This smart watch does not over complicate as there is a know to adjust the time, a button to initiate voice commands, find phone, or camera shutter, and another button to see time, date, and temperature, on top of adjusting setting without accessing the app. There is also no shortage of notifications as the wristwatch supported all of the apps in which I have set up to push notifications. I was not a fan of having to recharge the watch as I was worried about how often I would have to recharge but five days in and I am at half charge, so charging can easily be a once a week task. The Martian Notifier is the watch I didn't know I needed as I found myself accessing my phone less often when donning this accessory. I also liked that I was able to set up custom notifications depending on the type of alert. The leash was an interesting feature but since I leave my phone docked at my desk, I quickly turned the feature off as I was alerted almost every time I left my desk, but it was nice to be alerted when I was about to leave my phone in my car when it is a hundred and ten degrees outside. 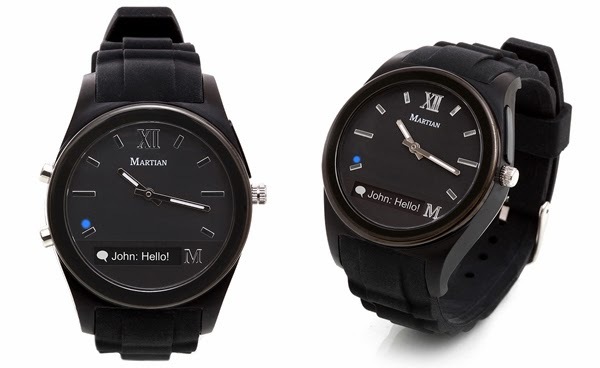 The Notifier is not the only watch in Martian's lineup but it is the most affordable with a soft and comfortable silicon band, three available colors, and a price of $129.00.